The gold-standard treatment for Parkinson’s disease (PD) is medication therapy. Virtually all of the available medications act to increase the level of dopamine in the brain. The way in which a given medication accomplishes this feat has a lot to do with its effectiveness and potential side effects. Levodopa is the first-line medicine for PD—brain cells use levodopa as a building block to manufacture more dopamine. Levodopa works by practically normalizing motor symptoms, making you feel less stiff, more mobile, and more flexible. Unfortunately, it does not cure PD and cannot stop the underlying disease process itself. Levodopa also has side effects. These side effects, however, can usually be eliminated by combining levodopa with other medications. For instance, one major side effect of levodopa when used alone is nausea—a result of too much dopamine circulating in the body’s bloodstream instead of in the brain. To prevent nausea and to enhance the amount of levodopa reaching the brain, levodopa is often given with another drug type called a dopa decarboxylase inhibitor (DDI). A DDI blocks the conversion of levodopa to dopamine in the body’s bloodstream thus allowing more levodopa to reach the brain and preventing nausea. The most common form of DDI used in most countries is carbidopa. The combination of levodopa and carbidopa is known by the trade name Sinemet. In most countries carbidopa/levodopa dosage levels are designated as a fraction—the numerator (top number) is the amount of carbidopa in each tablet, and the denominator (bottom number) the amount of levodopa. For example, a combination of 25/100 is composed of 25 milligrams of carbidopa and 100 milligrams of levodopa. Carbidopa/levodopa is also available in a controlled-release formulation known as Sinemet CR. The controlled-release formulations of Sinemet allow for a slower release time of levodopa into the bloodstream, which helps to smooth out end-of-dose wearing-off fluctuations, as well as nighttime sleep disturbances. Although levodopa effectively treats the symptoms of Parkinson's disease, the disease nevertheless still progresses and gets worse over time. Parkinson's disease damages brain cells that make dopamine or that convert levodopa to dopamine. As the disease progresses, it gets more and more difficult to stimulate the brain production of dopamine. We, therefore, need alternative ways of keeping brain dopamine levels high enough to support normal motor functioning. medications that directly stimulate cells that use dopamine—the "dopamine agonists"
medications that inhibit the breakdown of dopamine in the body and thus increase the levels available to the brain—the "COMT and MAO inhibitors"
All of these medications mimic the effects of dopamine at selected dopamine receptors, which are cells that enhance the effects of dopamine in the brain. These medications can produce side effects like dizziness, low blood pressure, and psychiatric disturbances so they must be started as a very low dosage, and only gradually increased under the guidance of a person's neurologist. The COMT (catechol-O-methyltransferase) inhibitors and MAO-B (monoamine oxidase type B) inhibitors work to block the breakdown and inactivation of dopamine in the body and brain. If COMT is blocked or inhibited, for example, more levodopa can reach the brain’s motor control system. The most common COMT inhibitors are (Tasmar) tolcapone and (Comtan) entacapone. COMT inhibitors are particularly helpful for people with motor fluctuations. But like most medications, COMT and MAOI inhibitors have side effects. For instance, five to ten percent of patients taking a COMT inhibitor develop diarrhea. This usually means the drug must be stopped. Two to three percent of people taking tolcapone develop serious liver problems requiring close monitoring of liver function when on the drug or cessation of use of the drug entirely. Entacapone does not have these liver toxicity problems. The MAO-B inhibitors, such as (Eldepryl) selegiline and (Azilect) rasagiline, prevent the enzyme MAO-B from breaking down dopamine in the brain itself. Selegiline is used primarily to prevent or smooth out end-of-dose motor fluctuations. Its effects are very mild. Selegiline was once believed to act as a neuroprotective drug preventing further damage to dopamine neurons in the brain. It turns out that this neuroprotective effect of selegiline is small or non-existent. Rasagiline, on the other hand, looks to be more promising with respect to its potential neuroprotective effects though the jury is still out on this crucial effect of the drug. Rasagiline is mostly used in early and moderate Parkinson’s to reduce motor fluctuations. More evidence on rasagiline’s effectiveness and safety is needed. 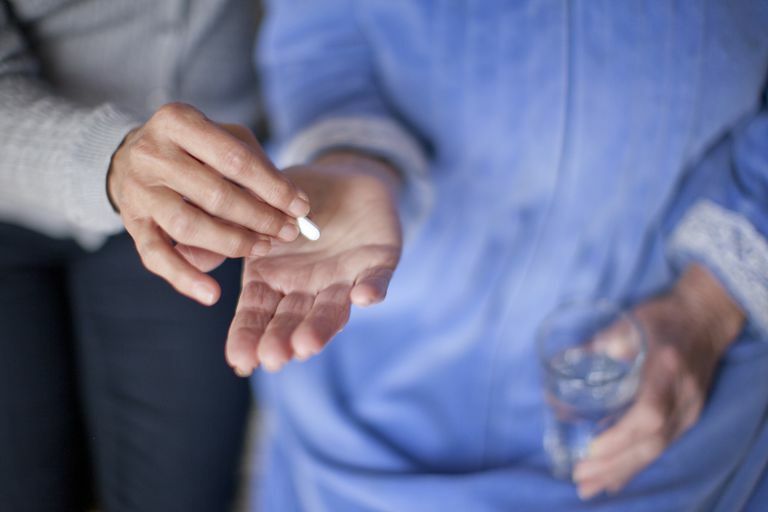 While levodopa is the best medication to treat the motor problems of Parkinson's disease, sometimes other medications like dopamine agonists or MAO inhibitors can be started first, especially if a person's symptoms are mild. These medications can also be added on to levodopa therapy to manage motor fluctuations. The good news is that while Parkinson's disease is not curable, there are ways to cope with the disease and improve your or your loved one's daily functioning and quality of life. American Society of Health-System Pharmacists, Levodopa and Carbidopa. Connolly, B.S., Lang, A.E. (2014). Pharmacological treatment of Parkinson disease: a review. JAMA, Apr 23-30;311(16):1670-83. R. Pahwa and K.E. Lyons (Editors), Handbook of Parkinson’s Disease; 4th Edition, New York, Informa Healthcare Publishers, 2007. What Happens in Parkinson's When Your Medication Stops Working Well?